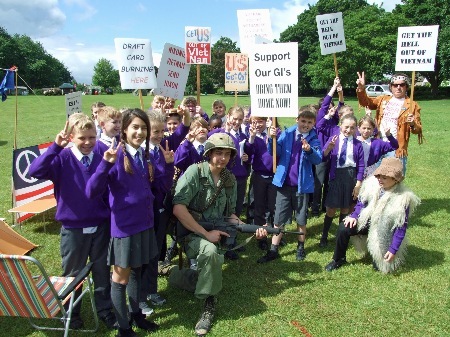 The sunburn may be fading but the memories of a successful Wicksteed at War 2017 are still fresh. Although strong winds meant we didn’t get the promised Spitfires and Hurricane, the expected rain stayed away and sunshine brought record crowds to the show. The weekend started with a schools’ education day, something which, the MVT being an educational charity, we were happy to support. 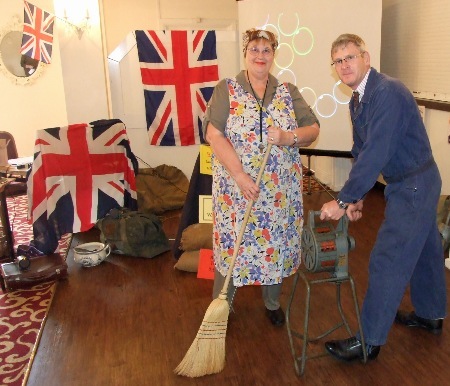 John and Judith Underwood were kept busy explaining the Home Front and elsewhere in the park different groups shared their expertise. A very popular item was the Vietnam Vets Against the War stand. A Russian T-72 and British Chieftain were the biggest and heaviest vehicles on site and the 200-plus other MVs ranged from CVR(T)s to parabikes. The Friday night Purple Heart disco was packed, as was the Saturday night Victory Party. 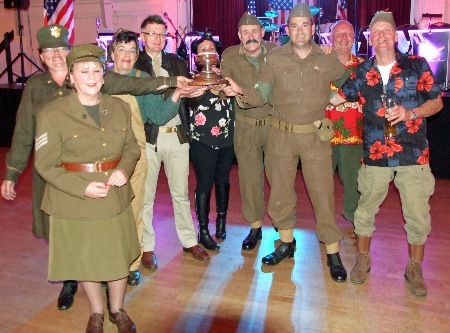 South East Midlands Area stalwart John Denney chose the Saturday of the show to marry his Linda and they joined us afterwards at the Victory Party. His serenade of Linda in the middle of the dance floor was hilarious. He sang All For The Love Of Sunshine, from the film Kelly’s Heroes, backed by the Wicksteed at War Male Voice Choir, aka, the Amourgeddon gang plus some hangers-on. During the party, the Best in Show Rosebowl was awarded to Hinckley Home Guard, whose stunning display featured a 1942 Diamond T, 1943 GMC CCKW 353 and 1935 Dennis bus replica. 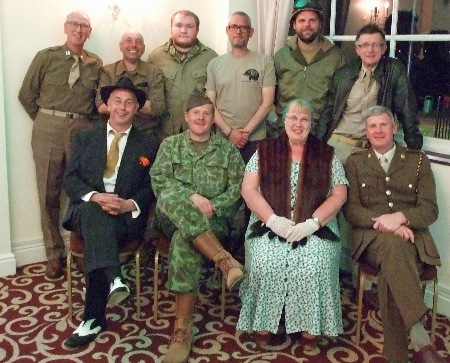 The theme was an American convoy meeting the Home Guard in the Midlands. The attention to detail in the "Home Guard HQ" was stunning, with period furniture, a stove and even a mangle. Show director Tim Hawkes said: "This is year was bigger than ever, with two lovely days of sun we turned out a record crowd of around 15,000 people. 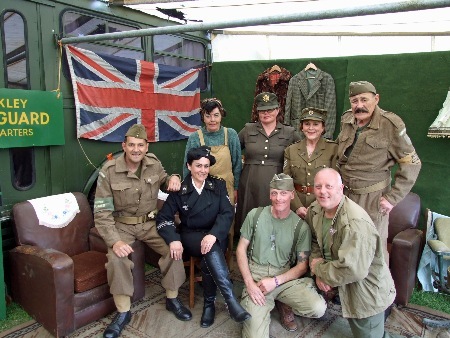 Visitors to the show enjoyed some of our new displays, including the Wicksteed Mess, a helicopter and two battle re-enactments per day. “The feedback from the event via our Facebook pages has been great, with our new review facility receiving 60 people giving it five stars. “There are things we need to change; car parking and congestion being at the top of the list. The volunteers all did a great job, making the show run more smoothly and many forgoing lunch to keep the show together. “Thanks to everyone involved, the re-enactors, stallholders and vehicle owners who made it something really special this year. 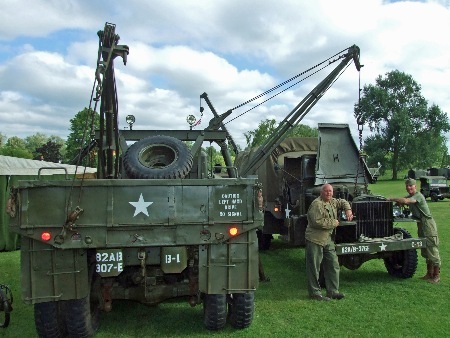 I would particularly like to thank Wicksteed Park and the Military Vehicle Trust who are the major supporters of the show.